Fighting against acne, wrinkles, and even just general blemishes on the skin can often feel like an unwinnable battle. It often seems like no matter what products you use or how well you take care of your skin, you’ll always have flareups. Well, for some people this may be true, but there are ways to help keep your skin clear and beautiful. If you’d like to eliminate breakouts and help your skin become healthy and younger-looking again, you may want to try using href=”https://www.thedermreport.com/deal/asdmtepezcohuite” target=”_blank” rel=”noopener noreferrer”>Tepezcohuite Cream. This is a unique product that does a great job of healing the skin after an acne breakout, eliminates blemishes, significantly reduces wrinkles, and more. Tepezcohuite has been used for thousands of years as a natural remedy for aging skin. It is well known for its healing and intense moisturizing properties. This cream works very well for treating skin that has recently been burned or irritated whether that be from an acne flareup or just having a chemical peel done. The cream speeds up the recovery process of the skin plus calms and soothes the skin thoroughly. This means that if you use the cream right after having a breakout, getting a peel done, or having issues with any other condition bothering your skin, you can quickly recover from it and have new, healthier skin cells replace the damaged ones very quickly. Want to Try It? 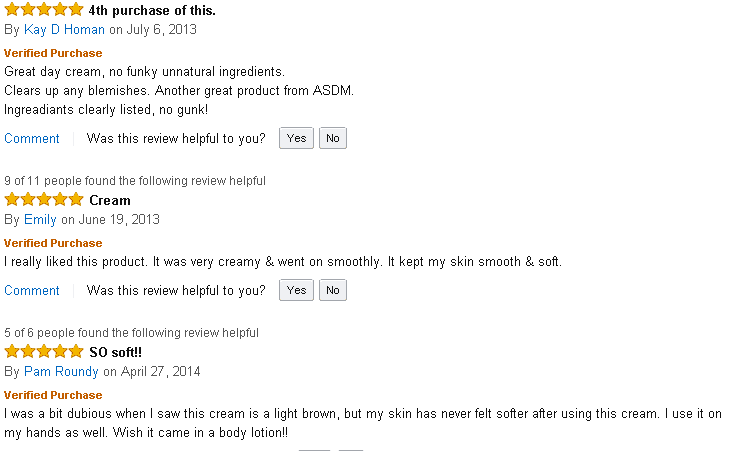 CLICK HERE to Order this Cream from Amazon Right Now! Tepezcohuite Cream is an excellent product to use to help repair your skin, get great moisture, reduce wrinkles, and loads more. The cream is also antibacterial so its capable of killing off those nasty germs that reside within your pores that often cause acne or blemishes to occur in the first place. That’s right, this cream is made of nothing but plant extracts and other natural substances. We reveal exactly what’s in the cream down below. Before you put a single dab of ANY cosmetic product on your face you should first be sure to check out the label to find out what ingredients are used in it. Why? Well, you don’t want to put substances on your face that you’re allergic to, right? Plus, you want to make sure there aren’t any harsh chemicals in the mix that will cause additional irritation. Other ingredients found in the cream include de-ionized water, bees wax, cellulose, polyglyceryl oleate, vitamin B3, allantoin, magnesium, vitamin C, sorbitol, essential oil rose geranium, and optiphen. Despite it’s awesome skin healing and soothing abilities, Tepezcohuite Cream isn’t a very popular product. For that reason there aren’t a ton of reviews to be found for it. Over on Amazon, for example, there are only about 40 reviews posted for the product. It’s a decent sample to go on, but it’s not a ton. Out of the 40+ reviews written for this cream, however, the product has received a respectable rating of a 4.0 out of a possible 5 stars. In addition to that, roughly 75% of people that buy it have left great feedback for it and recommend it to others to use on their skin. Most of the reviews found on Amazon are very positive. Several people claim that the cream has helped them overcome dry skin, prevent nasty acne breakouts, clear up awful blemishes, and it left their skin feeling soft and supple. Some even said that this cream is now their primary moisturizer. Want to read the reviews for yourself? CLICK HERE to head over to Amazon and check out real customer feedback. We always recommend reading consumer reviews for additional information. Overall, most people seem to love it. People have used it for literally everything from treating a simple sunburn to using it as an aftercare product for facial peels and beyond. Tepezcohuite Cream can be found in some of the major beauty stores such as Ulta and Sephora, although it can be tough to locate. It is also sold at some of the larger pharmacies like CVS and Walgreens. The quickest and easiest place to find it, however, is online. If you want to find the cream with ease and get it fast we highly recommend buying it through Amazon. They have the cream available for a bit less than most other retailers, ship it out to you very quickly, and they’ve got awesome customer service.